Every morning, Karen Work and her husband Jim wake up in their New Mexico home, say goodbye to their two Australian shepherds and travel the roughly one-hour drive across the Texas state line to the active oil and gas operations in the Permian Basin. Located in West Texas and southeastern New Mexico, ConocoPhillips holds approximately 1 million net acres in this arid part of the country. Important work is being done here. Karen and her team are pioneering the future of water management. 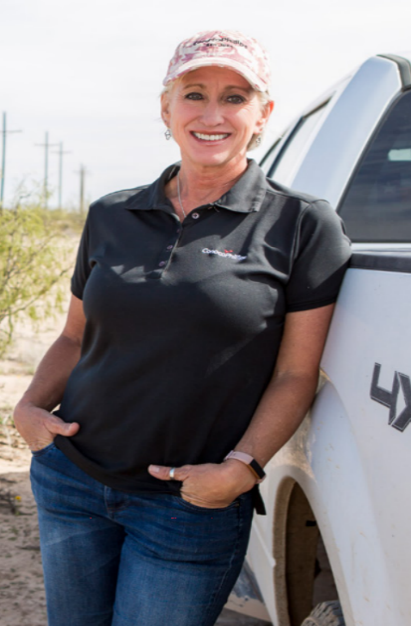 Karen is ConocoPhillips’ water management supervisor in the Permian Basin. Her team is actively working on a solution to address excess water that is produced after the hydraulic fracturing process. The solution; recycle it. pump it to the next well under development via lay-flat surface lines. The process has the potential to save about 500 million gallons of water per year, or the equivalent of 750 Olympic-sized swimming pools. This is critical in an area where water is precious. The project is set to launch early this year. Karen’s and ConocoPhillips’ approach to responsible water management represents an industry working hard to provide much-needed energy while responsibly minimizing the impact of its operations. But it’s not just about Karen and what her team is doing today. It’s about an entire generation addressing tomorrow’s energy needs and concerns. Called Generation Energy, energy stewards like Karen are working and collaborating with others in the natural gas and oil industry to ensure a safer, cleaner future. Energy is everywhere and the complex issues pertaining to responsible oil and natural gas production spark conversations in communities across America. We believe cooperation starts with information and informed discussion leads to good policy decisions. Join the conversation on our Facebook page. Read more of Karen’s story in the 2019 State of American Energy report. To learn more about Generation Energy, watch this quick video. © 2019 ConocoPhillips Company. All Rights Reserved.